You know the sights, you’ve all been to them, so did a couple of B-list museums. 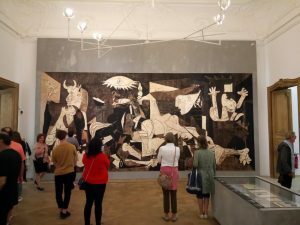 The Picasso Museum had an excellent Guernica exhibition, on the making of and the story behind Pablo’s most famous painting. At the Maillol Museum there was a retrospective of Tsuguharu ‘Léonard’ Foujita, whose work blended Japanese illustration techniques with western artistic sensibilities in the early 20th century. A top show too, though Foujita’s propaganda role in Japan’s war effort was blatantly glossed over. The usual away trip fayre of local burgers and kebabs was immeasurably enlivened with lunch at Le Hangar near the Pompidou Centre. 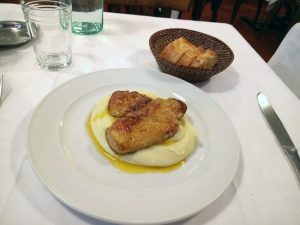 Their simple but exquisite escalope de foie gras de canard poêlée avec purée de pommée de terre á l’huile d’olive (fried duck foie gras with olive oil mashed potatoes) was a thing of rare beauty. You’re all familiar with Kronenbourg 1664 and Stella Artois (though it’s really Belgian). Of the other local beers, Pelforth blonde was particularly quaffable. 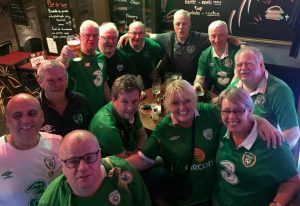 Especially given the likes of McBrides near Forum Les Halles were charging €6.30 for a flat Bulmers/Magners with no ice. It may be 20 years old, but the Stade de France remains one of the best stadia in the world to watch a game. 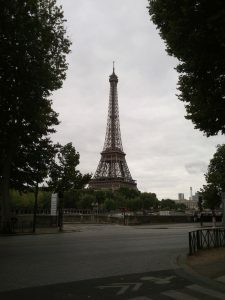 Amazing to think that prior to France 98, they seriously considered knocking the whole thing down after the World Cup. The only minus was the roof (which, you may have noticed, doesn’t actually touch the stadium) didn’t fully protect us from the torrential downpour that occurred during the match. 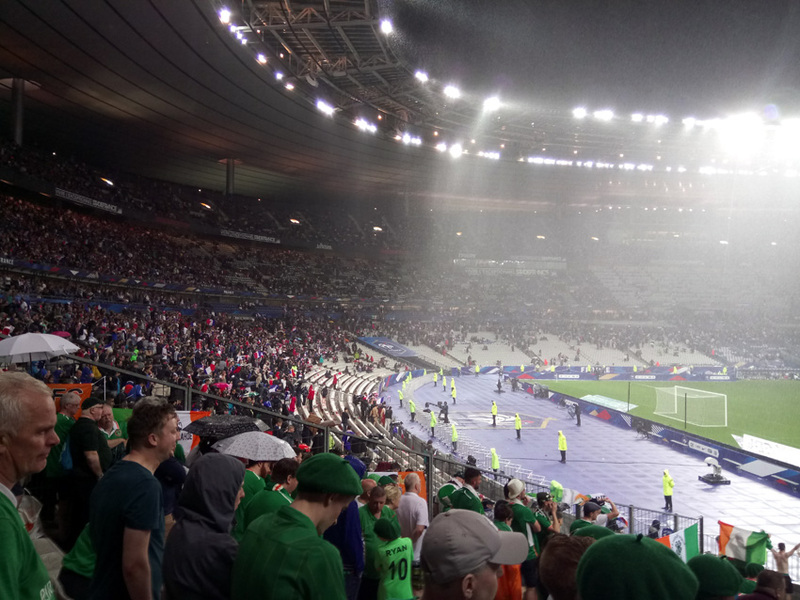 Resulting in the worst soaking we’ve ever experienced at an Ireland match. The timing of the game unfortunately coincided with a French train strike. 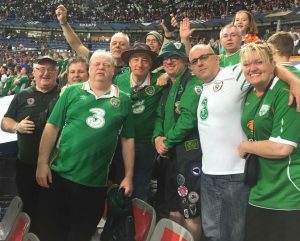 The RER service from Gare du Nord to Stade de France was severely restricted, leading to waits outside the station in the bucketing rain after the match. Yet even with the strike, still reached downtown Paris quicker than you would have gotten into central London from Wembley.